There are different types of ecigs and vaporizers, and the eliquids used in them. There are cartomizers, atomizers, eGo ecigs (vape pens), mechanical mods (RBA), e-juice/e-liquid, and nicotine strengths. The 'cigalikes' mimic traditional tobacco cigarettes but they consist of a battery and cartomizer. Cartomizers consist of a cartridge that holds the nicotine and e- liquid and an atomizer that vaporizes the liquid. The vapor is the “smoke”. The eGo style ecigs (vape pens) have a battery and clearomizer. Clearomizers are clear e-juice tanks with an atomizer. E-juice/e-liquid is a flavored liquid with or without nicotine. Mods are for hobbyists. There are variable voltage and mechanical mods. The battery case is the ‘mod’ and the e-juice tank is the RBA/RDA (rebuildable atomizer). These models have atomizers that have to be manually assembled. The e-cig came first. Then came the vape pen and the mod. The most recognizable e-cigs are the ones that look like real tobacco cigarettes. The e-cigs have 2 parts: the battery and the cartomizer. The cartomizer is a cartridge and an atomizer all in one. Cartridges hold the flavor and nicotine, and the atomizer vaporizes it. Cartridges have to be replaced but the battery can be recharged. Some brands offer this in a one-piece disposable unit. A tobacco cigarette offers about 10 puffs. A cartomizer will last approximately 300 puffs or the equivalent of 36 cigarettes. The battery life lasts as long as smoking 10 cigarettes. They can be purchased in convenience stores. They have limited flavor choices. The most popular types of e-cigs are the vape pens which consist of a battery, atomizer and a tank. The tank holds the ejuice or eliquid. Most vape pens use a standard fitting called eGo which makes the battery and tanks interchangeable. Atomizers for these models consist of a wick to absorb the liquid and a core to vaporizer. Vape pens hold approximately 1-2 mL of ejuice with approximately 50 drags per mL of ejuice. Nicotine strengths are offered in multiples of 6 mg per mL of liquid. Atomizers require replacement after 2 or 3 weeks. Another advantage of the vape pen is that it can use almost any brand or flavor of ejuice. Mods are a favorite among vape hobbyists. They produce more vapor and flavors are enhanced. They are similar to the vape pen but the batteries are a separate component and can be shared between other mods. The biggest difference is the atomizer surface is rebuildable meaning the wick and coil are assembled manually. To get the vapor volume, atomizer resistances are usually lower. Because of this, it burns more ejuice and batteries drain faster. However, tanks do come larger. Airflow is another factor in vapor volume. Atomizers can last 2 weeks but it can be difficult swapping them out. 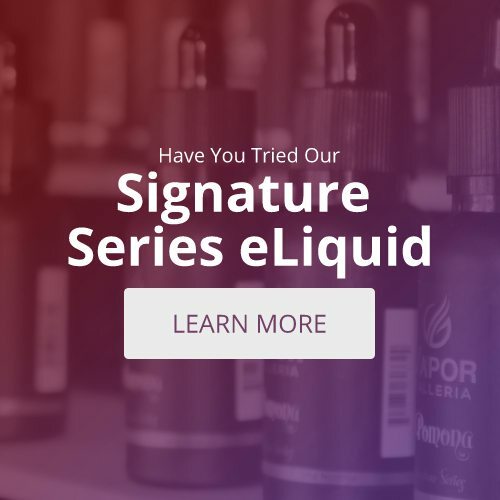 Tanks can use virtually any brand of ejuice. Battery life is difficult to estimate because it depends on the mod’s build.